Ridge and Valley Sports Schedule. 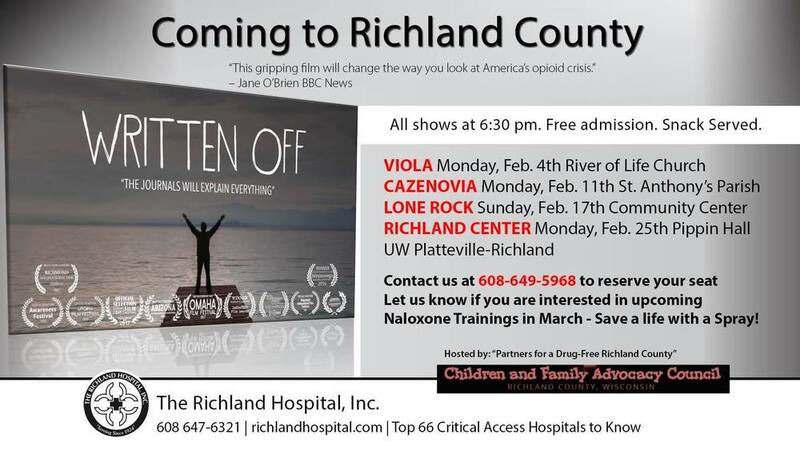 Presented by The Richland Hospital and the Richland County Children and Family Advisory Council, "Written Off" is a film in first person that outlines grippingly honest personal journals that reveal the secrets one man worked so hard to conceal and the stigma that surrounds his addiction. As an innocent prescription for painkillers led him to a 10-year struggle to escape opiates, “Written Off” leads us through entries he wrote, humanizing his addiction for others to better understand. The film is geared to viewers age 17 and older. We believe that this story will help teachers, parents, friends, and communities as we try to turn the tide of this epidemic. Press Release for "Written Off"
Copyright © Ithaca School District 2019. All rights reserved.